SimplySoft Whole House Salt-Free Softener & Descaler Replacement Tank is rated 4.5 out of 5 by 485. 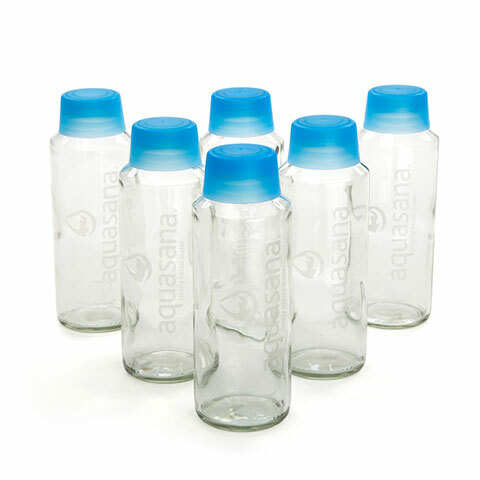 Replacement element for the Aquasana SimplySoft Whole House Salt-Free Conditioner. Our dual tank system is designed to hook up seamlessly with your whole house water filter system or as a standalone descaling system. It won't demineralize your water by chemically removing minerals from the water nor will it put excess salt waste or chemicals into the water or our environment. This effective water conditioner tackles typical hard water problems using proven salt-free SCM technology designed to prevent scale formation and protect from corrosion. SCM technology alters the structure of the hard minerals into a crystal structure that prevents the minerals from binding and forming scale buildup. 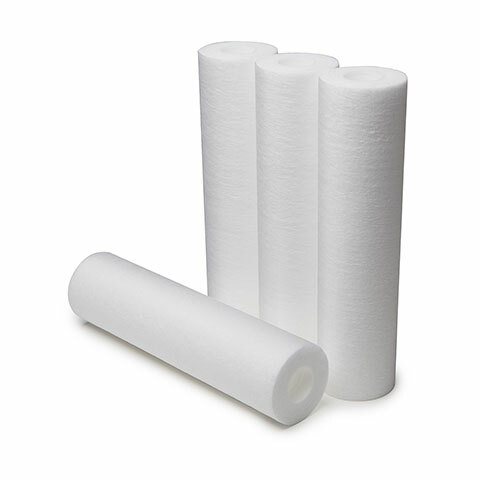 Unlike salt-based water softeners, Aquasana SimplySoft SCM technology will not demineralize your water nor will it negatively affect the environment by adding excessive amounts of sodium into our communal water system. The Aquasana SimplySoft Whole House Salt-Free Conditioner is designed to fit seamlessly with our Aquasana Rhino Whole House Water Filter System or as a standalone salt-free softener to provide your home with scale protection for up to 6 years. Rated 5 out of 5 by RedTink from Exceeded expectations Our installation was easy once we got the water line pipe to the right space in the garage. We have had it for about 4 months. My daughter had some eczema that was covering her back end, parts of her leg and the back of her arm. It was hurting and her self esteem was going down. The water district in North Texas has created a chlorimide disaster. Erin Brokovich is even involved. I saw that the chemical can cause GI issues as well as Eczema and other skin conditions. So we invested in this whole house system. It has faded very quickly. Within about a month it was just barely noticeable. When we went on vacation to Colorado and Utah it came back heavy since she wasn't showering here. Once we got home, it again is subsiding. I am grateful to know that my whole family is not having those chemicals leach through our skin and cause a multitude of problems. Many of my own personal GI issues have also gotten better. This is worth the investment into your health, it certainly was for my family. Rated 5 out of 5 by Spinner from A Great Product I purchased the entire package w/o the UV accessory. What a witch to install, however after a few drips here and there and a day without a shower it is finally finished. What a great system this is. The smell is gone from the water, the soap bubbles in the shower and we do not need to filter the kitchen water prior to making coffee. My wife and I are happy campers. Rated 5 out of 5 by Wendyag from So far so good. I am finding that the water seems clearer and tastes better. The only thing that I was pt off by was that the filter system was so large and took up lots of room that we really didn't have. Rated 5 out of 5 by Lawre from Great for the price Had a plumber do the installation. No problems at this point. Rated 5 out of 5 by Arizona Jim from What a difference Aquasana makes. I had everything installed by a professional plumbing company and they did a good job. Where the water softener loop was located the wall space was small, but the Aquasana fit nicely. After running water for a few minutes, the nasty taste of city water was gone. The water smells better and coffee certainly tastes better. This is the perfect system for us. Rated 5 out of 5 by Jim X from Whole House Filtration System Had a plumber do the install since he was here replacing a hot water heater. Install was flawless. 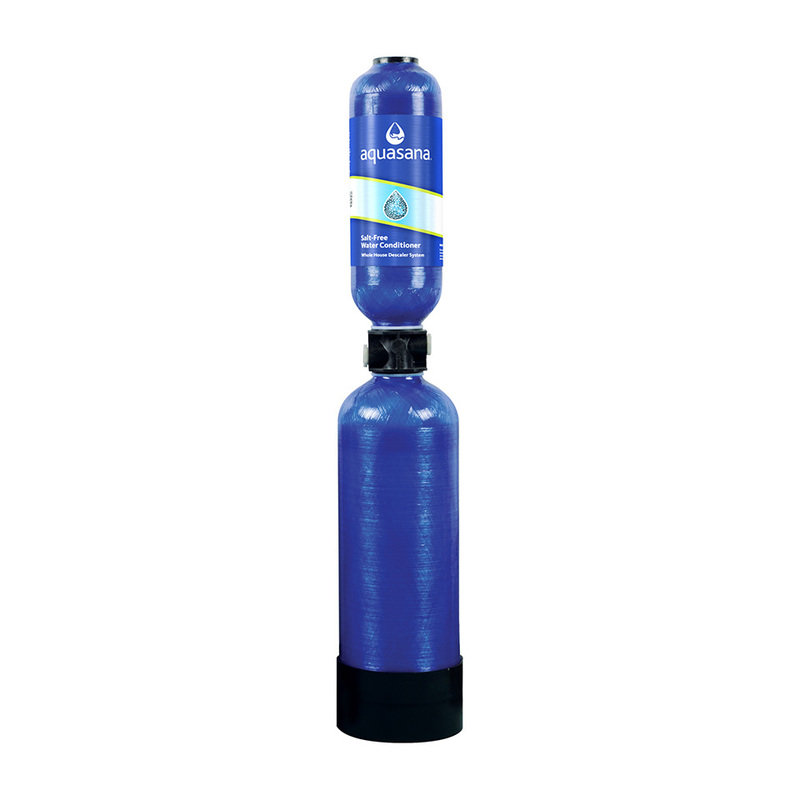 This Aquasana System replaces a water softener for the house & a Big Berkey for filtration water. 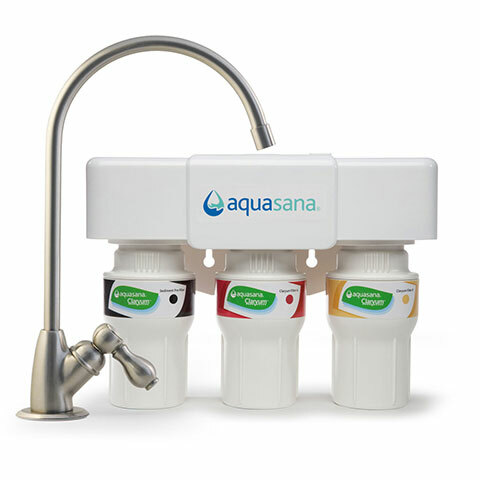 Should have gotten this Aquasana System from the word go. Water is clear & tastes great. Rated 5 out of 5 by Flan from Great product Really enjoying chlorine free water. No smell and feel confident in quality of water. Dont trust city water. Rated 5 out of 5 by No Nag Wife Required from Needed Something better than salt Just finished installing the whole system. So far so good. Rated 5 out of 5 by don a water conasewer. from Fantastic product! Great product. Installation went really smooth. Pricing very reasonable compared to other products out there. Very helpful service people. They defiantly have the right product for your home. Were on a well and got the whole home well system with salt free water softener and ultra violet light hook up and what a difference in water and clothes. Wow. Thanks. I have a tank in my cellar left by a previous owner. How do I dispose of the tank? I can't recycle it or throw it out. The tank is made of non-hazardous fiberglass and your City Department can if it is acceptable to put it out with your trash, or have other option for you. We are seeking a system to be purchased and installed without monthly charges thereafter. Which part to be replaced for maintenance? ?